Grown men, with or without consent, hugging each other is the new leitmotif in Indian politics. 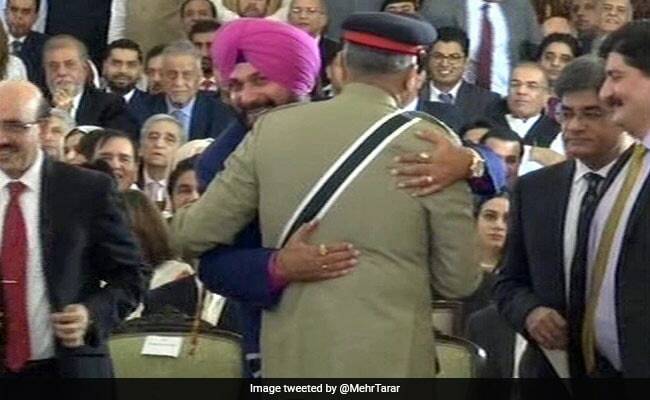 After Rahul Gandhi's stealth hug of Prime Minister Narendra Modi, now it's Punjab minister Navjot Sidhu's hug of Pakistani army chief Qamar Javed Bajwa, that has upset his boss, Punjab Chief Minister Amarinder Singh, the BJP and a section of the "nationalist" media. The BJP is the opposition in Punjab so its objections are only to be expected, if irrational. The curious part is Amarinder Singh going public with his anger at his minister. 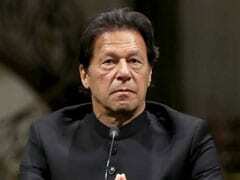 "Everyday our jawans are getting martyred. To hug their Chief General Bajwa...I am against this. The fact is that the man should understand that our soldiers are being killed", he said, putting on display a huge rift brewing within the Punjab Congress. Sidhu, who is never averse to publicity, good or bad, is likely to hit back as Singh buffs up his military image (he served as a captain in the Indian Army). Congress president Rahul Gandhi, ready for another foreign tour, should worry as Punjab is the last major state governed by his party. Sources in the Congress say that emergency firefighting was done last evening, but the truce is tenuous at best. Sidhu, who switched to the Congress from the BJP in September 2016, ahead of the Punjab election, had earlier created controversy when he declared that he would not give up his lucrative role as a judge on a reality TV show despite being a minster. 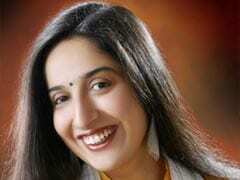 Captain opposed this; Gandhi mediated; the show was cancelled by the TV channel. 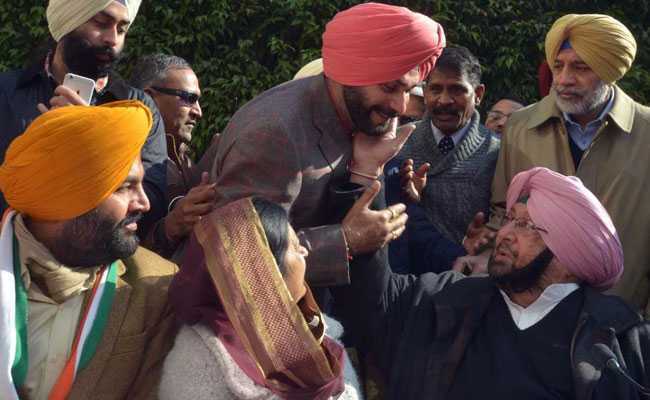 The Sidhu faction says that Captain is hardly the paragon of good leadership as he barely attends office for three hours a day, has completely cut off communication with his MLAs and the people, and acts only on the advise of a clique of relatives that include his grandson. Sidhu is also reportedly upset that Captain has not taken strong action against Sidhu's bête noire, the Badal family, which ensured the former cricketer was sidelined while he was with the BJP. Sidhu has gone public with his angst; the rebuke over the hug was Captain's retaliation. So while the two squabble, the Punjab Congress, never a united house, has split into two factions, leaving state chief Sunil Jakhar making SOS calls to Gandhi. Captain is clear that he will always take a "nationalist stand", say sources close to him; he also feels under-appreciated by Gandhi who he has never gotten along with (he is far more comfortable with Sonia Gandhi); by choosing to go public on Sidhu, he wants to send the party a message that Sidhu's act could cost the Congress public goodwill. Gandhi is to travel to London and Europe this week and it is unclear how he will set his house in order in Punjab. As usual, when there is a crisis in the Congress, UPA convenor Sonia Gandhi rushes to the rescue. She is expected to meet Captain this week in an attempt at figuring out a peace-keeping formula. 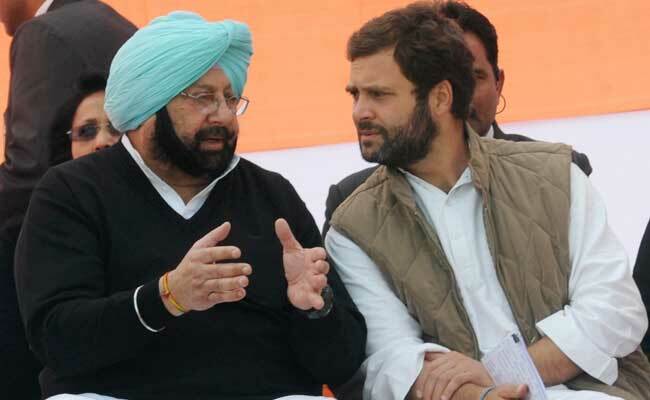 Before the Punjab election, Captain had considered breaking away from the Congress to set up a regional party. Sonia Gandhi had prevailed on her son to meet Captain and declare him the chief ministerial candidate - a move which helped the Congress. 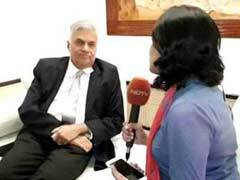 "How long will we keep depending on Mrs Gandhi? The new leadership has not shown itself capable of dousing out the endemic fires in the party. Instead of going abroad every three months, Rahul Gandhi should make the organisation election-ready and read the riot act to leaders who keep embarrassing the party," said a senior Congress leader asking not to be named. 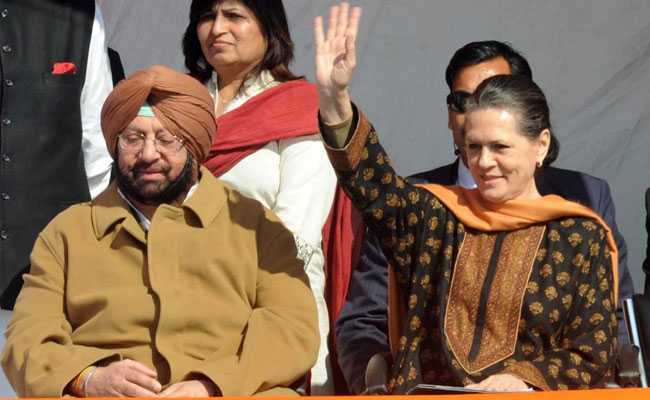 The Punjab row is only a symptom of the factional fights gripping the Congress. 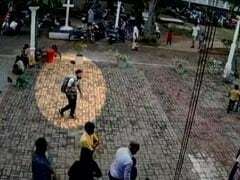 It is the same story in Madhya Pradesh and Rajasthan which are both headed for elections. Digvijaya Singh is on another yatra of Madhya Pradesh to prove his popularity while rivals Kamal Nath and Jyotiraditya Scindia watch haplessly. Kamal Nath is the chief of the state unit and is assigned to negotiating an alliance with BSP supremo Mayawati but she says either it's a three-state partnership or nothing. So far, no deal - and that's with elections barely months away. Candidate selection in all states is contentious and Gandhi is dithering with all the rival factions giving their own lists. So while the party president is away, his mother, the former president, will try to set things right. While the Madhya Pradesh factions are steeped in congress tradition and will not go public on the battle, expect no such thing from Sidhu. 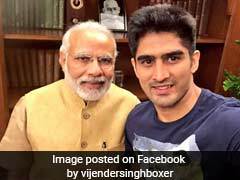 He has already brushed aside Captain's criticism and said Bajwa "is a Jat like the Sidhus and he came up to me". Sources close to him say that it's a well-known fact that Captain has his own cross-border links, so it is unfair to make a public courtesy an issue. This hug, however, will hurt the Congress - thanks to the BJP's social media army and friendly channels that will make sure it's a lasting embrace.